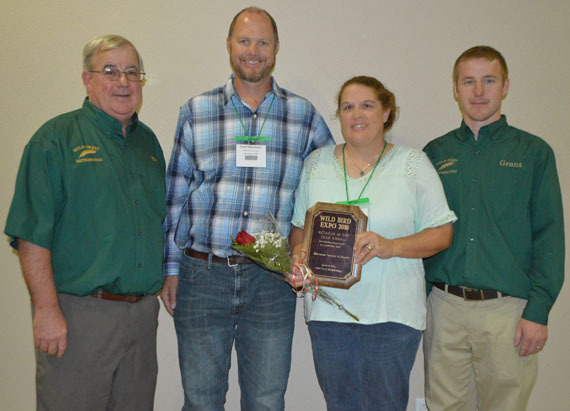 The Best Birding Retailer of the Year award winners were announced at this year’s Wild Bird Expo™, sponsored by Gold Crest Distributing in Mexico, MO. Winners were announced on Wednesday, September 28th during the event’s Share Night gathering. The winner of “Best Birding Department in a Multi-Line Store” went to Hillermann Nursery & Florist in Washington, Missouri. Nominees for the awards were submitted by a Candidate Search Committee who were tasked with determining who, in their opinion, demonstrated conscientious effort in advancing the birding hobby and industry. The required criteria in order to qualify as a nominee included several factors such as: sales volume (total and per / sq. ft.), growth history and advancement of new trends, best practice systems, product selection offered, merchandising, advertising, customer communication and education (websites, social media, etc. ), and overall impact within their community and beyond. All winning retailers were selected by birding industry leaders.